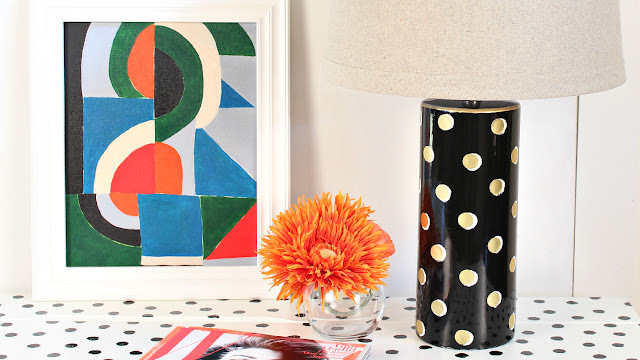 AKA Thrift Store Lamp DIY! So a few weeks back I was dreaming about buying a few Kate Spade pieces for my home. I love her aesthetic, always have. Then I saw the prices! $570 for a lamp! Are you kidding me? Do you also want my first child? Right then I realized that with a little elbow grease and some MAXX GLOSS paint, I could create that very same lamp for about $25 bucks. Less if I could find the shape at a thrift store. BTW, I hit 6 thrift stores and could not find this shape (because I was looking for it). The following week, after the project was done, I found 3 of them! If you're not having any luck, head to Target.com or LampsPlus.com and check out the sale items. This column shape is very popular and MAXX GLOSS will cover anything. Have fun! 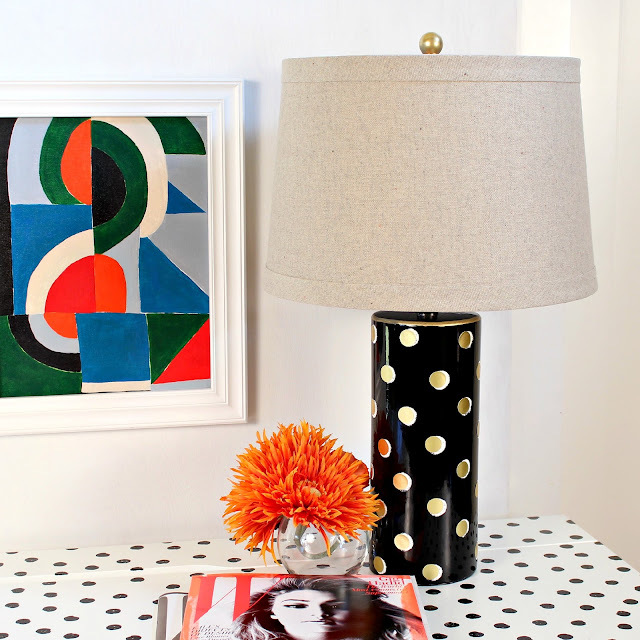 My beautiful polka dot, Kate Spade inspired lamp! 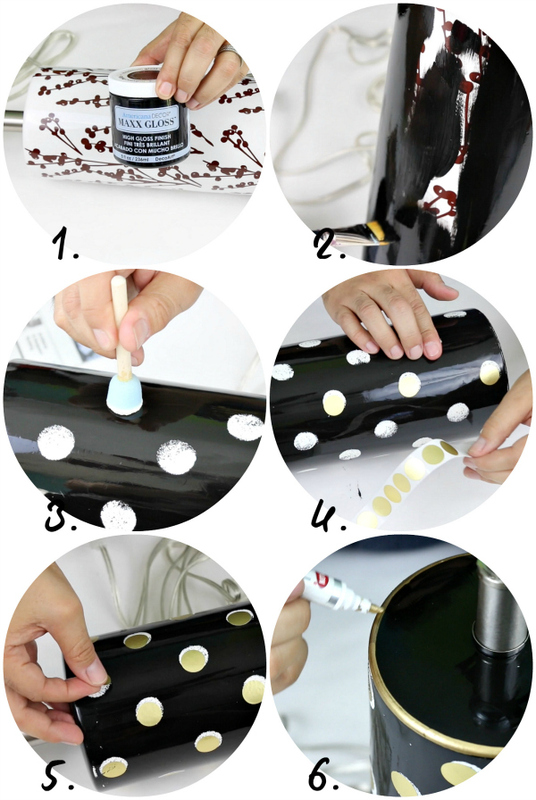 See how easy it is to make right here! I love my new work space! Lydia, I'm in LOVE with this paint. I can't wait to share some more projects with it. I love this, Mark! This gives me so much inspiration! I have some old lamps that need to be revamped. Usually, when I have a lamp that no longer works, I remove the electrical cords from the inside and use the shell as a vase. This just gives me more ways to decorate them. Thanks, Mark! Seriously, any shape lamp would look good with this kind of treatment! Thanks for the comment Lady T.
To anyone who would love to do this diy. 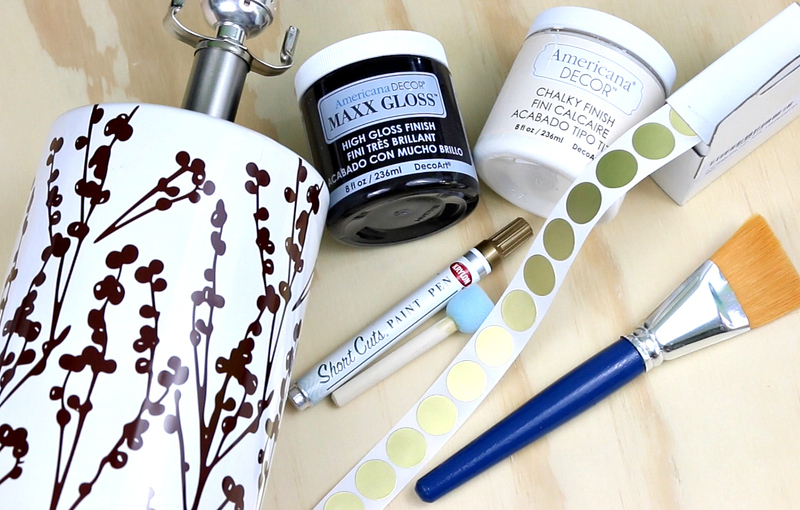 I found the lamp (same) lamp Mark use for this diy on amazon for $29.98. Thanks Mark, love the lamp project. Hey Marian! That's awesome. I got this one at LampsPlus (might have been Lamps USA) for less than $20 on sale. Good sleuthing! Beautiful! And of course you found them AFTER you didn't need them -- always seems to work that way! LOL Still even if you have to purchase a new lamp in a discount store, it's a great deal and you end up with an awesome lamp! That always happens to me Debee! OR I toss something and need it two days later! It's a curse. Oh my gosh you too?!! You should see my garage, no wait, ... no one should see my garage. ROFL. 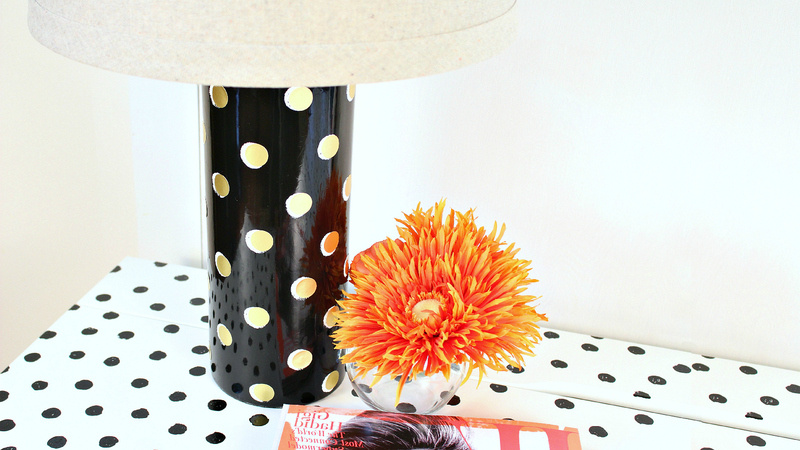 I stopped by the Kate Spade pop up shop this past weekend and fell in LOVE with that desk! I'm going to try my hand at bringing some of that style to my existing desk. I did notice that the Kate Spade version has a creamier white to it. It's warmer. So I decided to paint my desktop off white. Will protective enamel spray paint give me that glossy finish? Thanks! I think that it will.